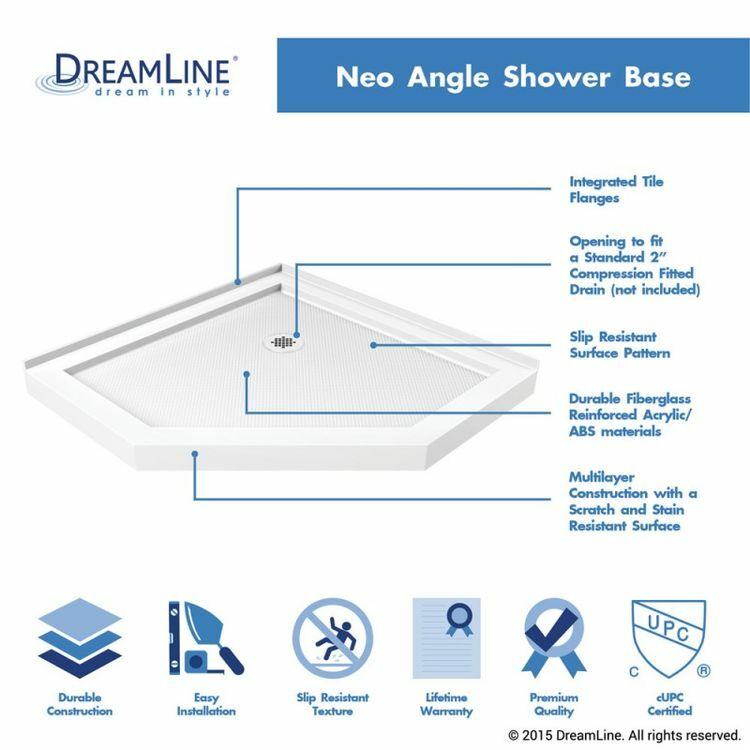 DreamLine's DLT-2040400 Shower Base is a 40 x 40 neo-angle shower receptor flaunted by the SlimLine collection. Made of scratch-and stain-resistant acrylic, this shower pan guarantees lightness and cost-efficiency regular shower cleaners would be enough to clean them! This fiberglass-reinforced base has heat retention properties capable of keeping your feet warm and cozy when taking a shower. 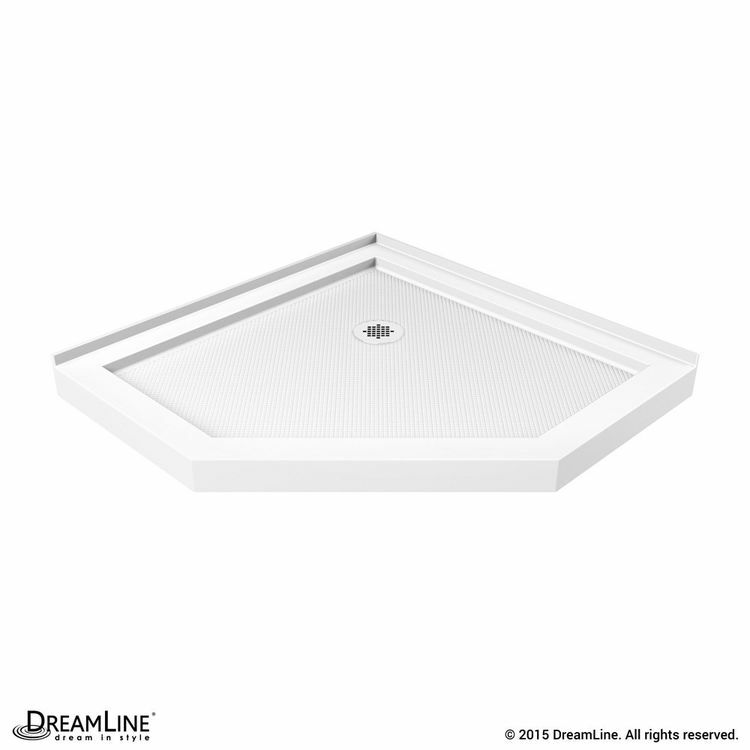 The DreamLine Shower Tray comes in white, offering a clean, polished look. It boasts a slip-resistant textured floor that guarantees safe showering with episodes of slipping less likely for both the child and the elderly. 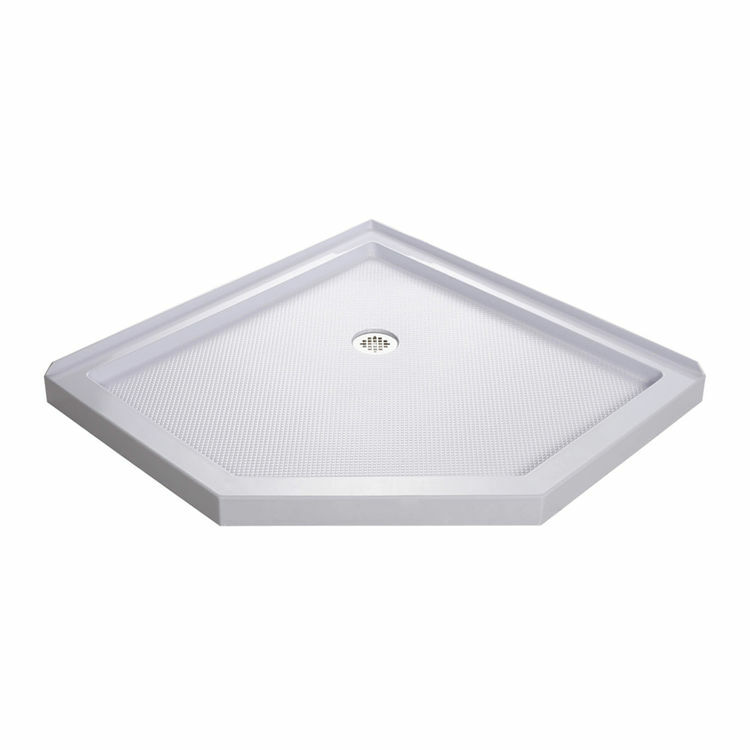 Conveniently, it features 2-side integrated tile flanges for quick and easy installation and waterproofing. Added structural support is provided by 4 diameter PVC rings at the base. It comes with an opening ready to accommodate a standard 2 compression fitted drain (sold separately). The DreamLine Shower Floor proudly bears the cUPC mark assuring that it is environmentally-safe and of sublime quality, having passed the strict Canadian and American plumbing standards. It is covered by DreamLine's limited lifetime manufacturer warranty. DreamLine has been a world leader on affordable luxury bathroom solutions with exceptional ratings on customer satisfaction and product excellence. Shipping Dimensions 45.5" x 45.5" x 7.3"
Shipping Dimensional Weight 85.10 lbs.